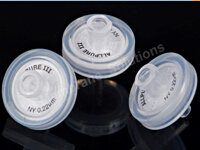 MS® Nylon syringe filters offer universal application for analytical procedures. Hydrophilic Nylon is ideal for aqueous (non-acidic) or organic sample prep and HPLC, GC or dissolution sample analysis. With its excellent flow characteristics, very low extractable levels and mechanical stability, Nylon offers the best combination of physical parameters to meet the most stringent analytical needs in 4mm, 13mm, 17mm, 25mm, 33mm diameters. The naturally hydrophilic, high protein binding and high dirt loading capacity of Nylon are natural advantages. 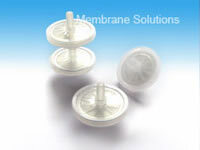 Membrane Solutions offer Customized Pore Sizes: 0.1μm, 0.80μm, 1.0μm, 3.0μm, 5.0μm. 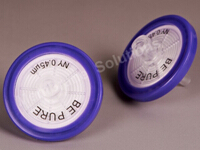 Note: Nylon Syringe Filter with other pore sizes and diameters, please contact Membrane Solutions.